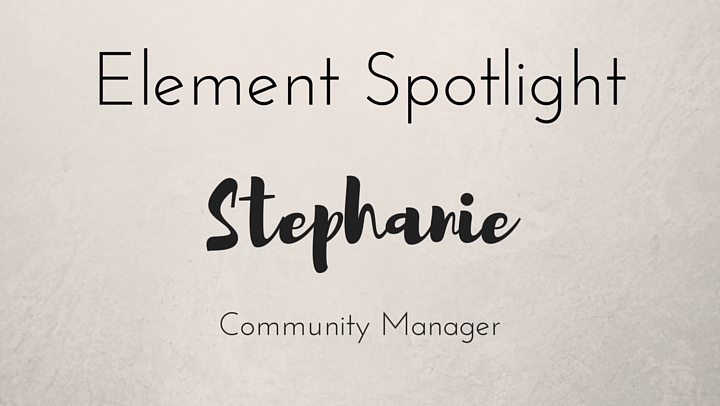 Today we’re introducing you to our Community Manager, Stephanie! If you haven’t had the chance to stop by and meet her, come on down! She’s pretty great and has the best sense of humor! Lots! My favorites are exploring Richmond with my son, making natural home and beauty products from essential oils and coconut oil, and raising animals. I have chickens, goats, and a cat. The Power of One. It’s also my favorite book. Parents of children who need long term or constant medical care. Hmmmm. It’s a toss-up between outrageous and pragmatic, so either a hot air powered ultra-light helicopter or the Life Straw. Check back next week for our next #TeamTakeover!